We provide a full range of popular meats and poultry.In addition we also sell a selection of fine cheeses and seasonal fruit and vegetables. Most of our farm assured beef and lamb comes from the Anderson family at Hole Street Farm, Kingsdown, about a mile away.They are mostly Sussex or Aberdeen Angus Cross cattle. 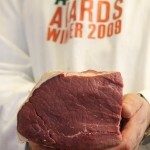 All our beef is hung for a minimum of 28 days to ensure a rich and succulent flavour. The traditional pork sausage is also sold as a chipolata (16 to lb) cocktail,and ploughmans jumbo sausage (8oz). 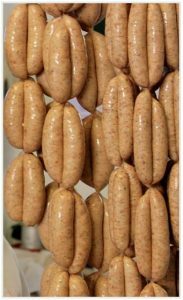 We are happy to make sausages to most specifications (subject to ingredients etc. ), provided the order is for a minimum of 10lb. We normally stock a gluten free sausage, for coeliacs, in our freezer. 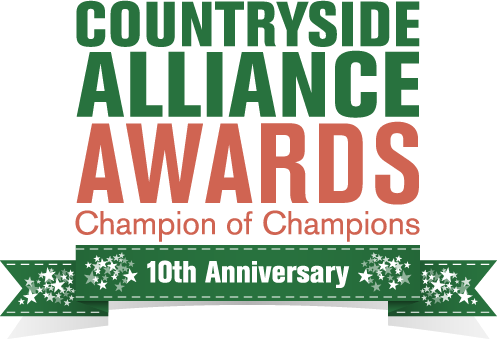 We have won the Kent Sausage Competition 5 times! 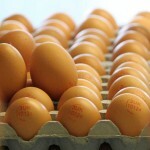 We supply free range eggs from our own chicken, reared in the neighbouring village of Stalisfield. We supply an excellent local honey produced from the orchard blossom of the Torry Hill Estate. 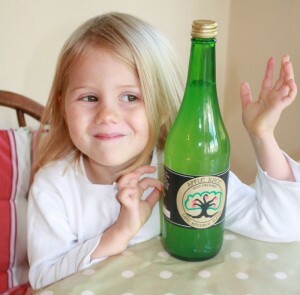 We produce our own apple juice, made and bottled locally for us from the apples from our orchard next to the shop and from our orchard on Seed Road – Doddington. The best thing to leave Ashford since the Eurostar link to Lille. But you don’t have to go to France to sample this culinary excellence. One of the very best ice creams available – and I have tried a few! The Honeycomb Crunch is truly worthy of its gold medal status. My words cannot do this product justice.